I’m catching up on my long cue of potential posts, which is why some things may be slightly outdated. But then again, maybe it should be obvious to other people too, or at least it should be on their minds. More and more, younger people are ditching cars or postponing ownership of one, and moving into urban centers where a car is not necessary or has limited use. Why the bickering over adapting cities to work with this preferred lifestyle? Not everyone wants cars, and not everyone needs ’em, which means we need to create and improve infrastructure that supports non-automobile lifestyles. Anyway, back to that post. In 2007, NYC added cycletracks to two previously car-centric, one-way arterials on 8th and 9th avenues in Manhattan. As with what seems like any, and every kind of change to roadways that “take away” from cars, this one got some heat before and after it was built, but an October study released by the city’s transportation department puts most of the criticism to rest. Retail sales increased up to 49 percent. And that’s just the local businesses on 9th Avenue from 23rd to 31st streets, compared with only 3 percent borough-wide. Dedicated bike lanes resulted in an increased bike volume of up to 177 percent, and an increased bike volume of 37 percent on the weekends. 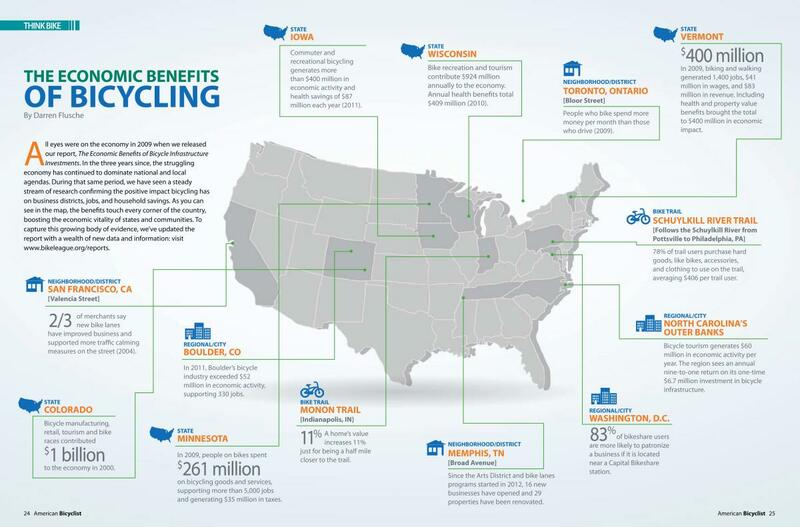 The League of American Bicyclists has their own study that shows the economic benefits of bicycle infrastructure. But for cyclists and pedestrians, it’s just a matter of walking in (after locking up the bike). Studies even show that cyclists, on average, spend more money on businesses than people driving in cars. What business wouldn’t want that? Even NYC figured this out, and all they did was build some bike lanes. Get on it DC. No more excuses.